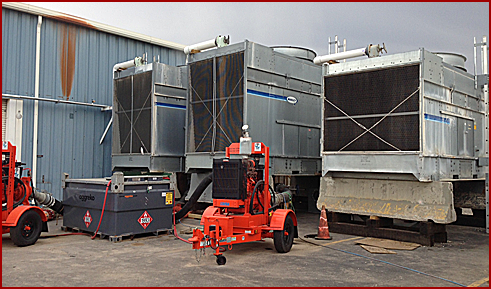 Sys-Kool has a fleet of over 20 cooling towers of all sizes that can be rented or purchased. Our towers are brought in, inspected, reconditioned by our experienced staff and ready for you at a moment’s notice. These towers can be used when repairs are being made to your tower, in conjunction with your cooling towers to increase capacity, or they offer a way to save money over buying new equipment. Our factory authorized staff is ready to deliver and install the rental towers when the need arises. 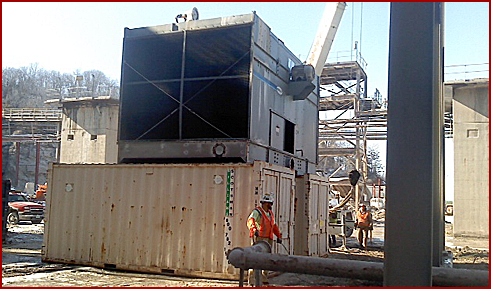 Click here to get pricing on rental and reconditioned cooling towers.